How Do I Remove Annotations? 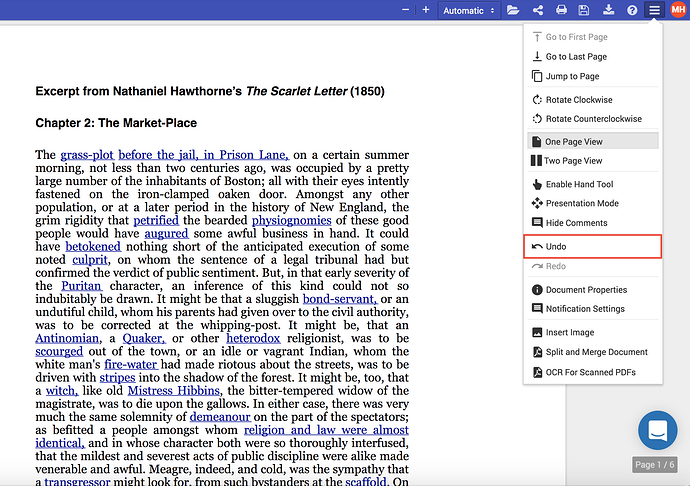 If an annotation is from a previous session, or you wish to be more precise in your deletions, you can manually hover over an annotation or comment. 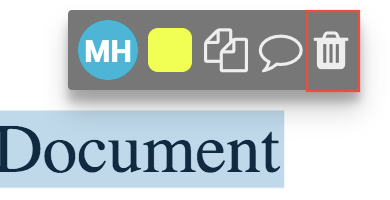 After a short delay, Kami will bring up a small toolbar, and you will be able to select the trashcan to remove the annotation. You can also use the eraser tool, but this only works with drawings and shapes. Note: Removing an annotation will also delete any comments associated with it. This guide is only for active annotations and does not apply to those that have been exported. Another method that removes annotations in this order is pressing the undo button, which you can find by selecting the Menu button the top right and navigating to Undo. Note: This is also how you access the Redo option, which is found directly under the Undo button.